Genuine gold coins can be a fantastic investment, a treasured heirloom to hand down through the family or an opportunity to protect your wealth for the future. Many people have already heard about these advantages, and more besides, but how do you take the next step to owning gold? It’s unlikely that you have a ‘gold coin shop’ at the bottom of your road and, as we’ll discuss below, even if you did it might not be a good idea to buy from there! So, how exactly do you buy gold coins? Gold is, first and foremost, a great way to protect your wealth. It’s not linked to stock market prices and so, in times of recession and market crashes, gold will often hold its value & provide a safe haven. This is because Gold is universally recognised as having an intrinsic value, so there’ll always be demand for it, which isn’t always the case with Company stocks and shares. smaller, they’re easily divisible. This means that if you required a relatively small amount of cash, you could easily sell a small portion of your holding. In this way, the appeal of gold coins is enhanced by the fact that some dealers will even offer a buy-back guarantee for these coins due to their liquidity, typically at a higher price for their weight than bars. As well as the opportunities for selling your coins in the future, there are also immediate purchase advantages. Coins are often available at a lower premium and are extremely tax efficient. This is because UK gold coins are technically legal tender within the UK, so there’s no VAT to pay and no Capital Gains Tax at the point of sale. There are many different types of gold coins on the market, but one of the most common UK coins, which benefits from the tax advantages mentioned, is the British Britannia. Like other well recognised gold bullion coins, it’s one ounce in weight and is a sound investment choice, whether you’re just starting or an experienced investor. You can see a more comprehensive list of your bullion coin options here, including the South African Krugerrand, which is another common option for investors who want to diversify and move away from solely investing in UK coins. Investing in old, collectible gold coins (also known as numismatic coins) is a popular hobby for many, and collectors can make decent profits at any point, should they decide to liquidise their collection. However, numismatics (rare, gold-bullion coins which are not quite at the point of being formal collectibles) is a professional discipline of study, and for the casual or even professional gold investor, it’s normally recommended that you stay with modern gold coins. If you do have a specific interest in numismatic or semi-numismatic coins, however, it is possible to purchase these via the same routes as those described below. Each of these options can have their own strengths and weaknesses. An approved gold dealer will typically be able to provide you with the best price, the best quality and the best choice of gold coins, due to their position at the heart of the gold marketplace and their associated buying power. They offer added security with regard to quality, flexibility in the quantity you wish to buy and expertise when it comes to guiding you on which type of coin to purchase. Gold can be purchased for many reasons and a reputable gold dealer will be able to guide you on which type of gold coin will best meet your objectives. They should also have added services such as insured storage of your gold coins – should you prefer not to store them yourself. A reputable dealer should be BNTA accredited. The BNTA oversee the coin trade within the UK and dealers must meet certain criteria before they are awarded accreditation. Some jewellers will often hold small quantities of gold coins, sometimes with the intention of selling, as they would a ring or necklace. The coins held at professional & reputable jewellers are likely to be genuine, but may not be of the trading quality sold by a gold dealer. They’re also likely to hold a limited quantity and may possibly charge a larger margin, due to the likely intention that the gold is a gift, rather than an investment. Not a bad option if you want to buy gold coins in small quantities. Gold collectors, and owners, can sometimes turn to marketplaces such as eBay to sell their gold to the mass market. Whilst it can be tempting to sniff out a bargain on sites such as this, purchases from private sellers come with risks such as being fake, or low-to-middling quality and there is a lack of purchase guidance which you would receive from a reputable dealer. Some bulk sellers now offer automated online portals for gold purchases. This can be an attractive proposition for smaller purchases of perhaps one or two coins. 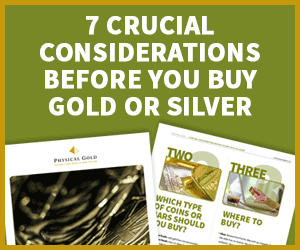 For larger purchases, however, these portals are usually unable to offer personalised guidance on your chosen gold, which can make all the difference to your returns and the value of your gold holding at a later point. Once purchased, you may decide that you wish to keep your coins at your home. If this is this case, we would recommend installing a security solution such as a safe. Alternatively, if purchased from a reputable gold dealer they will probably be able to offer you a secure storage solution. There are also other options for your gold purchase, which may align with your wider investment objectives. A regular savings plan might be attractive – reducing your initial outlay and helping you save in smaller, manageable contributions to your overall gold coin holding. A gold dealer can discuss the options with you and help decide on the most suitable route forward. The ‘secret’ to buy gold coins successfully is simply to understand why you are buying gold and to make a purchase based on your long-term aims. The reasons for someone in their 50s purchasing a single gold coin to pass to their grandchildren, for example, will be very different from the reasons behind a 30 year-old purchasing to hedge their existing investments. In each of the above scenarios, experts are there to help ensure your purchase is exactly right for you – furthering your overall aims and benefiting you and your circumstances. This entry was posted in Blog and tagged Gold Coins, Gold Investment, Physical Gold. Hollywood Gold Infographic: Gold in the movies – who got the biggest haul?